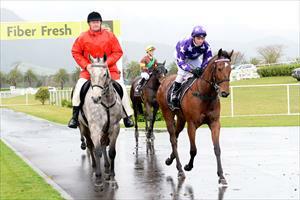 Resurrect has been scratched from his race at Matamata on Wednesday to wait for another day. He was set to carry 59kg on a track rated heavy(11) and co-trainer Pam Gerard feels it would be asking too much of the five-year-old under the conditions. Resurrect will be nominated for a race at Hastings on Saturday where the track is currently rated dead(4) but with rain forecast for the area.